Are we getting back in the swing of things? So smoothly? So soon!? I can hardly believe it! 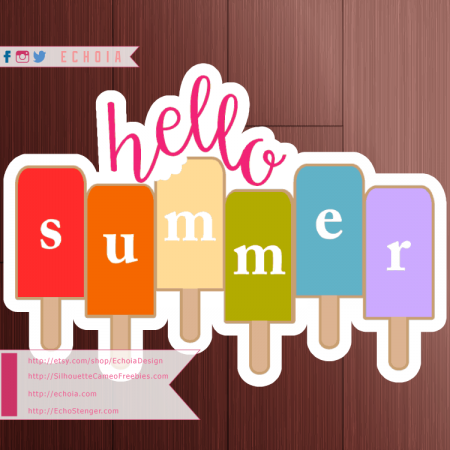 I gave a bit of a life update in Sunday’s post “Hello Summer Design Tutorial” and told ya’ll I’d be back soon with a free version of the cute cuttable we made together in that video. It’ll be here soon enough, though. May as well be ready to make cute things with our Silhouettes! I hope you guys enjoy this cute cuttable. Please remember that Silhouette Cameo Freebies are for personal use only unless explicitly stated otherwise. For commercial-use designs, please visit EchoiaDesign on Etsy.